Stinging insects are limited to the order Hymenoptera, which includes wasps, bees, and ants and a few “weirdo” groups including sawflies and horntails. Among 75,000 species of wasps and 20,000 species of bees worldwide, a few species are considered to be potentially hazardous insects. 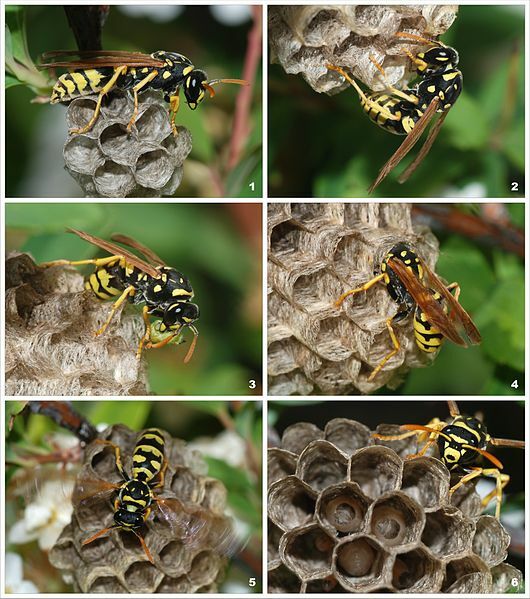 Wasps and Bees can be a major concern in the summer and early fall when their nest populations exceed 60,000. Some 500,000 people are sent to the hospital emergency room every year due to stings from insects such as yellow jackets, honeybees, paper wasps, and hornets. They generally do not sting unless handled, disturbed or harmed (when they feel threatened). Because of their environmental value, many pest control companies recommend controlling bee populations rather than exterminating them. You can prevent a wood-burrowing species from damaging your home or establishing a colony in a dangerous area by applying bee repellents. Other repellents can be sprayed near areas where bees already exist, but you should be cautious. Not only is this method dangerous for one who is unprotected, it is dangerous for others. The bees may simply swarm to a neighbor’s home, rather than to a safer place. Large numbers of bees swarming in a tree in your garden or around your home can be unnerving, especially if they establish a hive within your house. 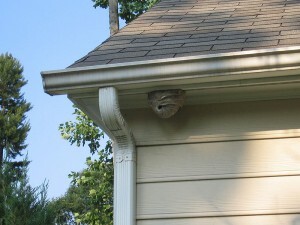 However, bee swarms and nests can be safely managed if you follow careful procedures and get proper help. While you can buy and use chemicals for bee extermination or control, you need to keep in mind that some products can be quite dangerous. If not used properly, they could be doing more damage than the pests. When it comes to learning how to get rid of bees and wasps, it is worth taking steps beforehand to prevent them nesting or visiting your home and garden. There are several preventative methods to be aware of. Make sure garbage cans are sealed. Do not dump food or drinks anywhere in the area especially sugary ones as these attract wasps. Do not let dead animals and insects just dry up or rot in the area – you have to get rid of them. These types of things attract wasps and bees and preventing these happening in the first place can keep your home and garden relatively wasp free. This saves you having to learn how to get rid of wasps or wasp nests in the future too.